Like most sales roles, you want to measure your BDR team on two types of metrics: Drivers and Ratios. Drivers are straightforward and simply measure the volume of output by a rep on a particular metric. The keys to look for in Drivers are whether reps are hitting the overall target and whether they are happening consistently. Ratios can be even more useful than Drivers because they tell you if your reps are following your strategy, and whether that strategy is having the desired outcomes. The number of accounts your BDRs are reaching out to is called Account Coverage, and is important to think about. Depending on the way you market and sell, you may want your team to be reaching out to as many different accounts as possible. This is typically the case when you sell a product with a small ASP, in a high-velocity, transactional way. However, if you sell a higher ASP product where you need multiple stakeholders, then you actually want your BDRs to be reaching out to fewer accounts (but a larger number of contacts per account). 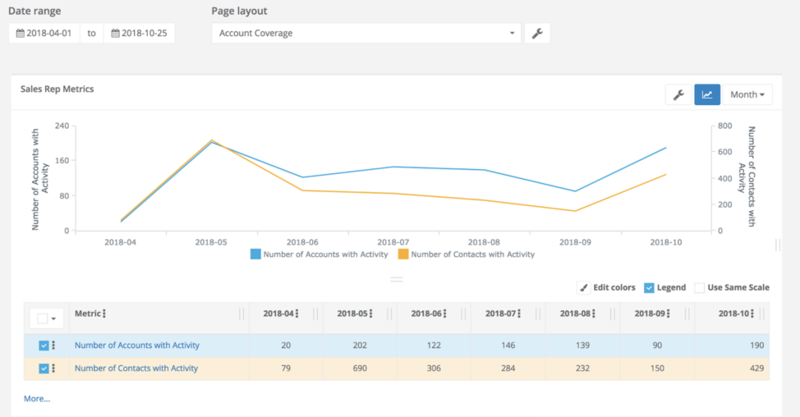 You should track your account coverage over time, and also by rep. You’ll be able to see if there is an optimal number of accounts for a rep to have in their campaigns at a time. Ratios are also very useful for diagnosing reps that aren’t producing the full output you would want. For example, if your BDRs are responsible for driving qualified opportunities to pass over to Account Executives, your Ratio shines a light on which part of the process is failing when a rep isn’t hitting their number. Comparing metrics across all of the reps on your team is critical. If a metric looks low for a rep, comparing across the team can tell you if it’s a process problem or an individual problem. When a metric is only low for one rep, it’s a great opportunity for coaching and team learning; however, if it’s low across the board, then you have a bigger issue where you need to fix your process. 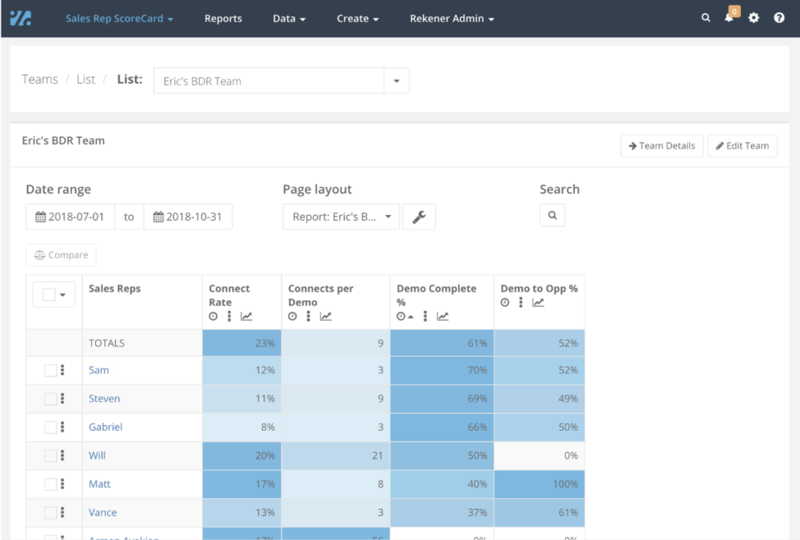 If your process for BDRs is call/email → connect → set demo → complete demo → opportunity, then a useful way to assess all of your team members is to compare them all on the conversion rates from stage to stage. In this example, Matt is strong at converting demos to opportunities but weak at getting demos completed. A good move would be to pair Matt with Steven who is strong at completing demos but weak at converting them to opportunities. Reps will know that they are either a master in a particular area, or they will know it’s a place that needs work. If you bring this to the surface frequently, reps will start getting proactive about improving the places they are weak. Running an efficient BDR team can lead to incredibly valuable results.